These presentation slides 43965 are complete compatible with Google Slides. Simple download PPTX and open the template in Google Slides. It is an incredibly impressive template in green, red and yellow color palette. 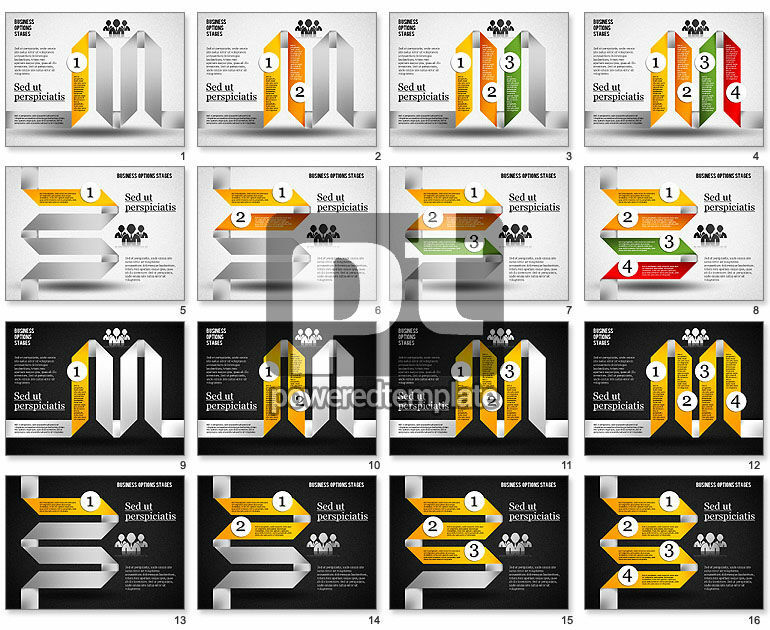 It is created on two kinds of the background, with cool stripes, icons, numbers, human silhouettes and areas for text. This superb sample is a good choice for showing new strategies, management, finance, step by step actions, goals, innovations and stages, so be sure your audience will definitely love it.